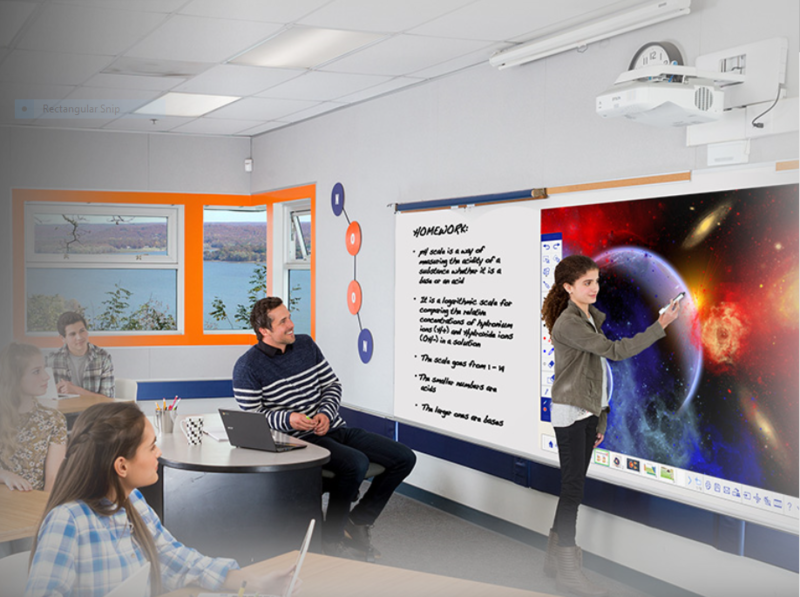 Engage the entire classroom with Epson BrightLink interactive projectors. Epson’s high performance, network-ready BrightLink interactive projectors are transforming today’s classrooms. These bright, dynamic, and easy-to-use interactive displays are available in laser and lamp-based models. Offering dual-user pen-based and/or touch-enabled interactivity for up to six users at a time (on select models), the Epson BrightLink is designed to maximize classroom collaboration and allow you to share lessons — or students’ work — from Chromebooks, computers, iOS and Android devices, or annotate PC-free with no device at all. 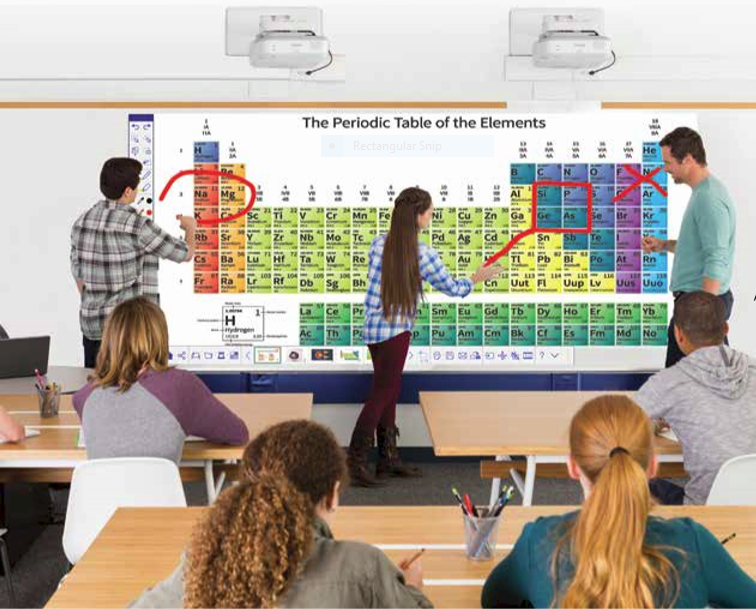 Epson BrightLink projectors easily transform a dry erase board, plain wall or table into interactive displays. Available with virtually maintenance-free solid-state laser light source, or low cost lamp-based models, BrightLink features 3LCD technology for high color brightness and wide color gamut. A fully-integrated interactive solution, BrightLink works with existing whiteboards, eliminating the need for dedicated electronic boards or space-consuming flat panels. LightWerks has a wide range of audio/visual solutions which include multiple monitors, projector and screen, web conferencing, total control systems and integrated audio & video. Contact us at LightWerks today or fill in the form below for more information on what we can do for you or your organization!